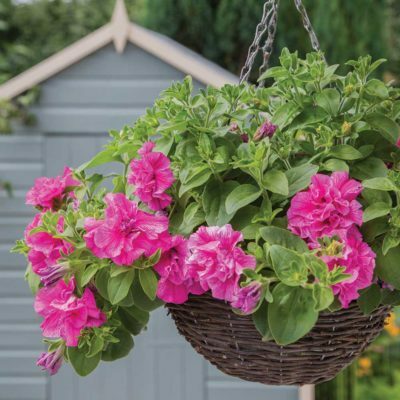 Hanging baskets add a whole new dimension to gardening, helping to utilise all the available space. 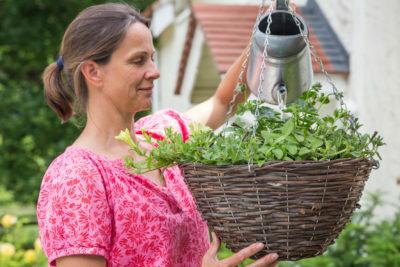 There is a universal appeal for hanging flowers in a basket bringing petite flowers to eye level, where they can be examined, smelled and touched. These mini hanging gardens bring beauty to your house walls or outside buildings and make flower gardening accessible even to those without a surface to place a container. 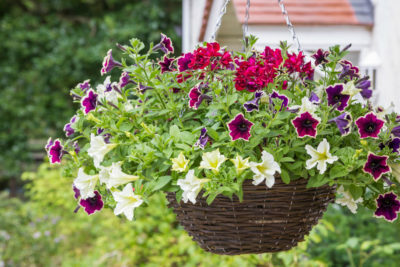 Hanging your basket at the front of your home can deliver traffic-stopping flower display to your entrance and instant curb appeal. 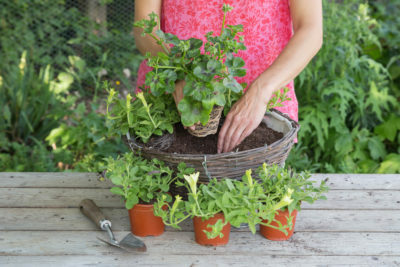 Place your empty basket on a bucket so it is held firmly in place while you add plants. Adjust the liner so it fits the basket snugly. Fill half the basket with compost mix and firm down. Insert your chosen centre plant. 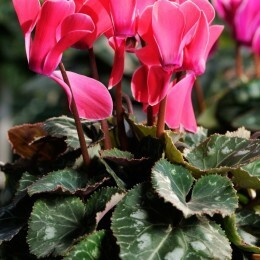 Pop in your filler plants. Fill in around the roots with further compost mix. Top tip: Protect your Summer plants from frost by storing in the greenhouse to grow on. Or, bring your basket under cover each evening. Summer baskets cannot be allowed to dry out completely. A few hours in hot sunshine can be enough to wilt your plants beyond rescue so you will need to be vigilant and water regularly. 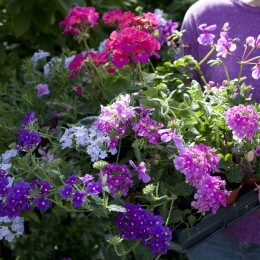 In the height of summer, your hanging baskets will need to be watered every day. Water thoroughly and make sure the water is absorbed by the compost and doesn’t just drain away. Even after bouts of heavy rain, it will be surprising how little water will reach the compost as the foliage of your plants can act as an umbrella. 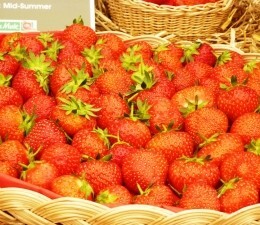 In order to guarantee the best results you will have to feed your plants regularly throughout summer. 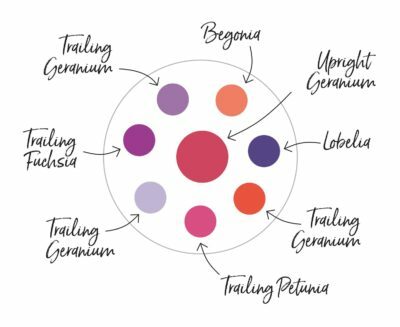 Most compost for your hanging baskets will already contain a limited amount of fertiliser. However, within a few weeks of planting the level of nutrients will have been depleted and your plants will be hungry. You will need to add more nutrients to improve your plants flowering and encourage strong growth. As the flowers fade it is important to deadhead by pinching out the old flowers. A flowers purpose is for the eventual production of seeds for reproduction. Once the flower begins to set seed it will divert all its energy into seed production and will stop producing flowers. 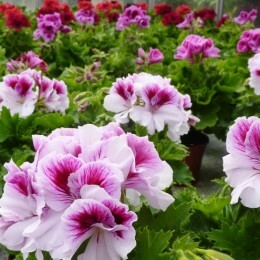 By deadheading the blooms as they fade, the plant will have to redirect its energy back into the production of flowers to once again try and produce seeds. 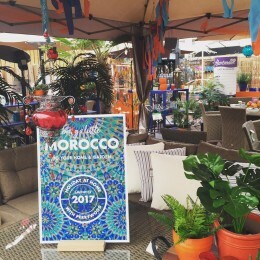 This allows a gardener to enjoy a continuous display throughout summer. 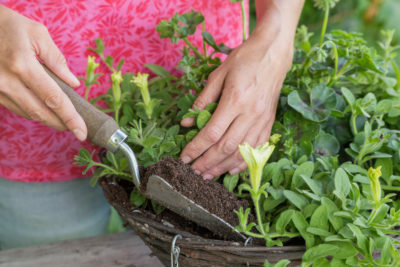 In addition to encouraging plants to produce more flowers, deadheading will also help to keep your garden looking neater and tidier as faded blooms look unattractive and messy. Summer bedding plants work hard to produce magnificent displays of flowers and can easily wear themselves out after a short time if left to their own devices. 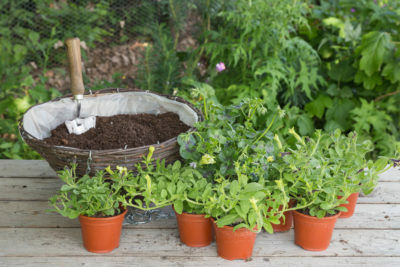 By following these simple steps you will not only ensure your plants survival but you will keep them flowering right through till the end of summer and up to the first frosts.